Dan and his wife Cary have been married since August, 1979. They have two children, Daniel and Deeann. Dan has been involved in youth ministry for over 30 years. He has served on staff at three different churches and in a full time traveling ministry since 1993. They moved to Nashville, TN in August 2008. Dan grew up in DeSoto, Texas, has a Church Music Degree from Dallas Baptist University, and a Masters degree from Southwestern Baptist Theological Seminary. Dan is the founder of Carport Sound, a sing-along-trax resource for Youth and Children's ministries. Dan's wife Cary is originally from Nashville, Tennessee, attended Oklahoma Baptist University in Shawnee, Oklahoma and finished at Dallas Baptist University with an elementary education degree. She teaches Bible Study at their church in Nashville, TN where Dan leads worship on Sundays.Dan and Cary met at music week at Glorieta Baptist Conference center in New Mexico in 1977. How Sweet! 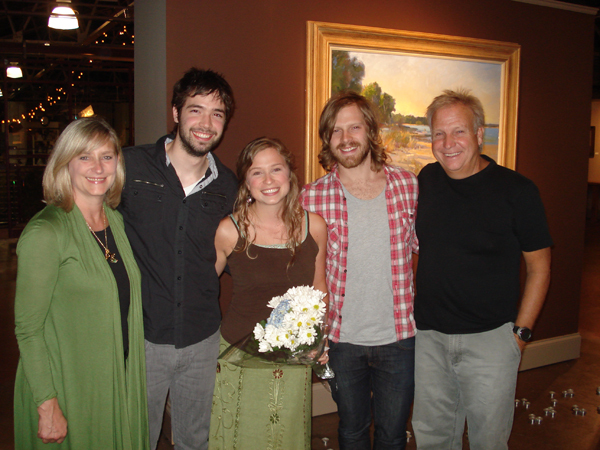 Daniel has played guitar with Chris Tomlin since 2001 and lives in Atlanta, GA where they lead worship at the Passion City Church. Deeann is an artist and graduated from Memphis College of Art. You can view her artwork on her website. She and her husband Loyd also live in Atlanta, GA. Loyd plays guitar for Christy Nockels.